Albuquerque Sunday Night Out (SNO) bowling league is a GLBTQI and GLBTQI-friendly bowling league – the only one in town. SNO is a fun league that believes bowling should be fun and welcomes all bowlers regardless of skill level. SNO league bowlers are the ones who run The Albuquerque Roadrunner Tournament every year! SNO bowls on Sunday nights at 6:00pm for 18 week increments at Silva Lanes at 3010 Eubank Blvd NE in Albuquerque. Teams consist of four people with up to two alternates per team. The league attendance ranges anywhere from 30-36 teams during the season. We are Albuquerque’s only GLBTQI and GLBTQI-friendly bowling league! We have fun and believe league bowling should be fun! We welcome all bowlers regardless of skill level! SNO is certified by the the United States Bowling Congress (USBC) and a member of the International Gay Bowling Organization (IGBO). Are You Local and Interested in Joining Our League? Every Sunday night at 6:00pm (minus some holidays – see schedule) for 16 weeks. League practice begins at 5:50pm with normal league play starting promptly at 6:00pm. Teams consist of four people, with up to two alternates per team. If you have a four person team already…great! If you need a team to join, we can help you with that as well. Our league is constantly growing! When we began over 12 years ago, we had about 8 teams, now we range anywhere from 30-36 teams during the season! 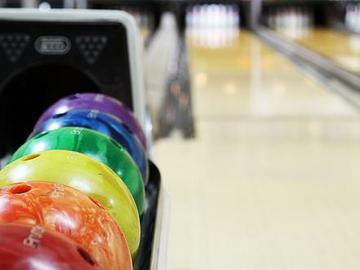 Everyone is required to be sanctioned through USBC (United States Bowling Congress). Renewable annual fee, due every August. This will be due 8/12. Sanction fees can be paid online here. If you pay online, you have to bring a copy of your confirmation receipt so I can submit to our local association. Normal league time is practice at 5:50pm with league play starting promptly at 6pm. On the first night of bowling new bowlers and team captains must attend a league meeting.